If you missed the 2016 annual Aero Club Gala, check out some highlights from our Gala video. It’s easy to be dazzled by hardware and technology. 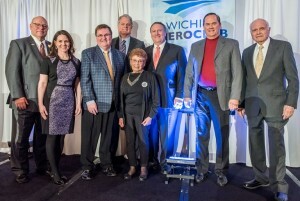 But the seventh annual Wichita Aero Club gala reminded me that people make aviation fly. Judging by all the standing ovations throughout the night, I was not alone. The evening honors diamonds. People who are not just brilliant – but resilient. Who cut through obstacles. And make a mark. 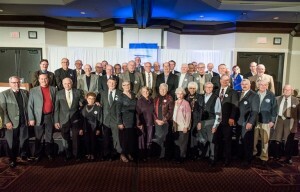 Past honorees include the late Velma Wallace, Jeff Turner and Spirit AeroSystems, John O’Leary and Airbus Americas Engineering, Russ Meyer and Al Higdon. 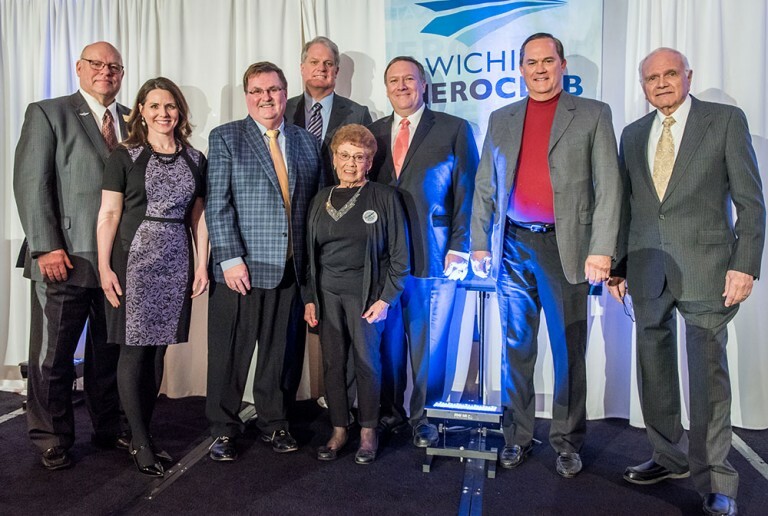 As the head of the trophy selection committee, I have the privilege of bringing together a group of highly regarded industry colleagues to bestow this honor upon a person or organization with strong Wichita ties and exemplary achievements in aviation. Here in the Air Capital, you can only imagine the number of nominees worthy of this distinction. The gala serves as an opportunity to pay respect to those who’ve made an impact on both our community and aviation. 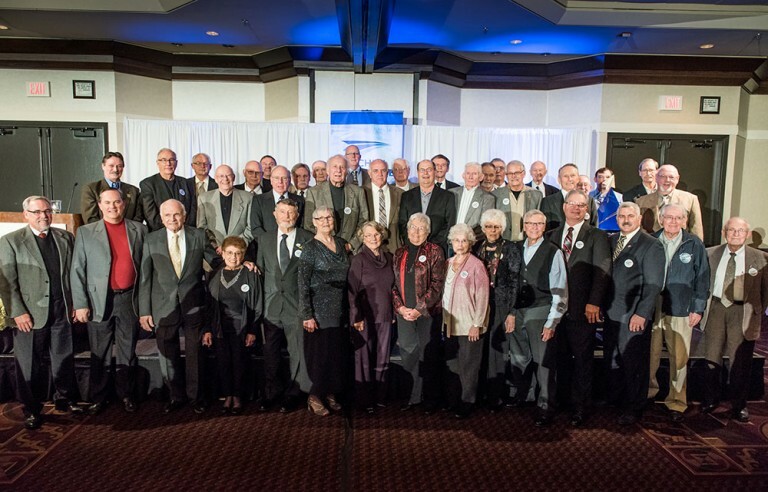 This year, the club saluted the Doc’s Friends Restoration Team. Since 2000, this group of volunteers donated upwards of 350,000 hours to restore Doc, a WWII-era Boeing B-29 Superfortress once part of a squadron called Snow White and the Seven Dwarfs. When it flies this spring, it will be one of only two airworthy B-29s. The U.S. Air Force’s Fifi is the other. originally built it. And people responded. None more than 91-year-old Connie Palacioz, who stands several inches shy of five feet tall. She’s been a Doc volunteer for 16 years. Seventy years ago Palacioz riveted this particular B-29. The nose, the only undamaged section after Doc’s years of being used as target practice, still contains Palacioz’s original rivets. She put them in when she was 17 years old. Her brother, uncle and fiancé had enlisted, she said, and “I wanted to do my part.” She did. And does. Like the hundreds of other Doc volunteers, Palacioz reminds us that we are part of something bigger. That sacrifice and dedication lead to great things. You can learn about Doc’s progress, upcoming flight and future educational efforts at www.b-29doc.com and about the Wichita Aero Club’s industry-elevating activities at www.wichitaaeroclub.org. Photo credits: Doc image: Brett Schauf, Visual Media Group; gala images: Jeff Hetler, Visual Media Group. This column ran in the January 28 issue of BlueSky Business Aviation News. By Ashley Bowen Cook. Originally posted on the Greteman Group’s blog.